Scottish Liberal Democrat leader has said the Scottish Government’s performance on aspects of mental health is “truly terrible” as waiting times are the worst on record. Willie Rennie said instead of improving as promised, “performance continues to decline”. Official figures published last week showed 71.1% of youngsters has an appointment with Child and Adolescent Mental Health Services (Cahms) within the 18-week government target – although the statistics from both NHS Tayside and NHS Borders were incomplete. The figures, which cover the last three months of 2017, were the worst performance against the 18-week target since it was introduced in 2014. Children have never waited longer for mental health treatment. For the first time in years the number of people committing suicide in Scotland has increased. Two people every day are ending their life. Speaking at First Minister’s Questions, Mr Rennie said: “Last year the Mental Health Minister said performance on children’s mental health waiting times was encouraging. He said the number of people taking their own lives in Scotland has increased and is at two people a day. First Minister Nicola Sturgeon said the long term trend in suicide is downwards and the government is working closely with health boards to improve performance on child mental health. Suicide is the single biggest killer of men under 45 in the UK – 84 take their own lives every week. 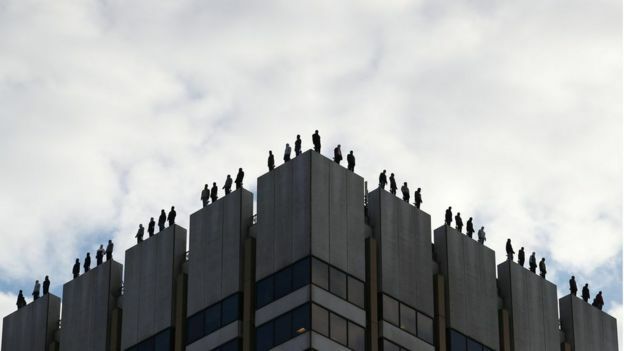 A new campaign, Project84, aims to raise awareness and sees sculptures placed on the top of a London tower block. 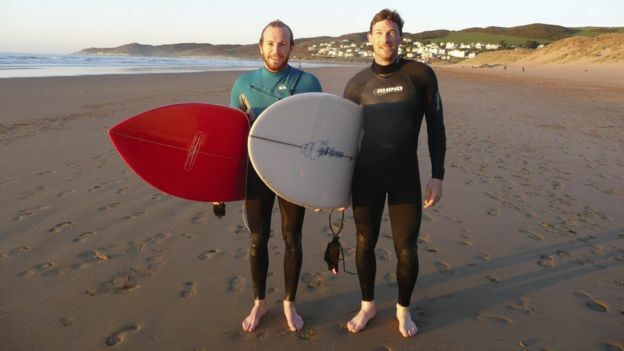 “People say the wounds heal but you still have the scars,” says Jonny Sharples, whose elder brother Simon, 36, took his own life in 2014. “I remember when it happened. I was at home on my own watching a rerun of Match of the Day and I got a phone call from my sister. “I was in tears. I went down to see her in Staines, where she lives, and then we saw my parents in Cornwall. It was Christmas, which made it more difficult. “Simon adored Christmas, even in his thirties he would get up at five in the morning and wake everyone else up to open presents. Jonny says of his brother: “He was a normal, level-headed and unremarkable in many respects. But to anyone who knew him he was a really special person. He was always smiling and making you laugh. Away from friends and family, though, Simon – a father of one – was suffering. A year of upheaval saw him change jobs and move out of his Preston home. In December 2014 he took his own life. “It’s only with the benefit of hindsight you knew he wasn’t quite himself,” Jonny says. “When he was watching football or playing golf, doing the things he loved, he was distracted. He was not quite as smiley but was still enjoying himself. Nelson had a successful snowboarding career and became a coach for some of Britain’s Olympic riders. “The stage of life he was at, a lot of us were settling down, getting married and having families and I think Nelson had a lot of different pressures,” says Marcus. Nelson sought help, however, Marcus feels he was “let down”. 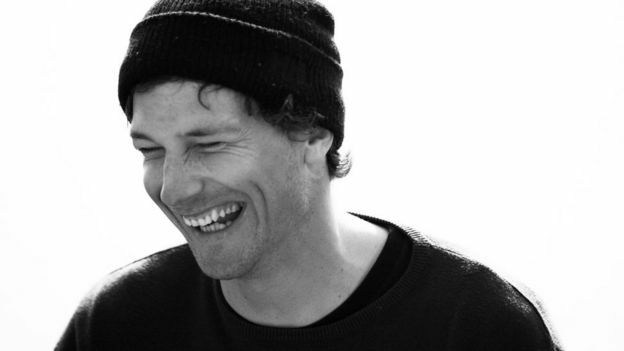 “The myth is that someone who takes their own life is weak,” says Jonny. “I don’t think for a moment my brother was a weak person. I think he was very strong. Marcus adds: “It’s about having those very early conversations, sometimes close family members are the hardest people to talk to. That’s why things like the CALM helpline are so important. “The only way I dealt with Nelson’s death was to throw myself into his legacy and raising awareness. “I don’t think Nelson’s family will ever fully recover from the hole that has been left. 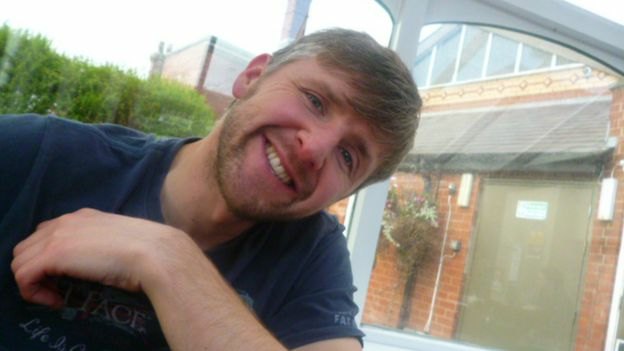 Amy’s brother had battled depression for eight years before he took his own life in July last year, aged just 26. Despite his mental health struggles, his death was a shock to his family who believed he was coping with the illness. But she insists he did not choose to kill himself – he was killed by his depression. Amy spoke to BBC Radio Scotland about her experience after a striking new art installation was unveiled highlighting the issue of male suicide. 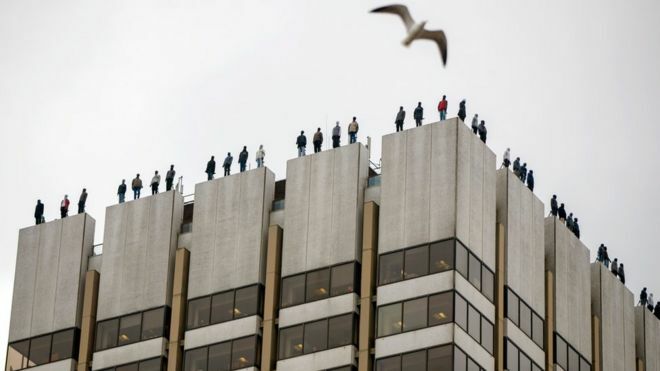 Sculptures of 84 men have been placed on the roof of ITV’s This Morning studios in London – each representing real men who have lost their lives to suicide. Every week 84 men in the UK take their own lives, according to the Campaign Against Living Miserably (CALM) the charity behind Project84. 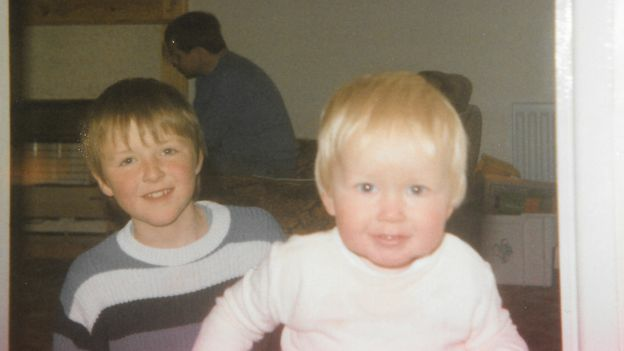 Amy told the Kaye Adams Programme that her family had endured the “toughest eight months” since her brother’s death. “He was struggling with his mental health but the shocking thing that we found was that he seemed fine,” she said. “I know it sounds silly and trivial but in the last days before he died – I was the last person to see him – he was so happy. “He had a niece and a nephew, my two children, and he was playing with them at the park, talking about plans to go to university and things. She said he had been to his GP shortly before he died and he was attending mental health services. “The shocking thing about when it happened was that he was being treated and he was at his GP 10 days before he died, getting more anti-depressants,” she said. Amy said he brother’s death was having a knock-on effect on the mental health of the rest of her family. “My dad found my brother and he now obviously really struggles with that, he’s struggling with his own mental health. “His GP’s reply to that is go to all the charities out there. He’s not even putting him on a waiting list for counselling or anything like that. The family have been left alone to pick up the pieces of her brother’s suicide, she said. “And it’s at that point where you feel your whole life is completely shattered and you don’t feel able to put one foot in front of the other, never mind help yourself to get the help that you need,” she added. “So you’re just completely left – I felt anyway, through our own experience – that you’re just left to it by the police, by the GP. “We had a family liaison officer from police who did nothing, to be honest. She said she had a list of phone numbers for us and she didn’t even give us those phone numbers. Amy said she feels there is still a stigma surrounding mental health problems and suicide. “I have had people saying, yeah he was depressed but why did he kill himself? Why did he go that far, why? “They keep asking me why and I feel that’s down to not being educated about depression and about mental health, and also the stigma that surrounds it. She said she feels some people think there should be some kind of “Hollywood ending” – they ask if there was a suicide note and whether there was a big thing that he was trying to get away from. “I just tell them he was not very well and he died. He was killed by depression,” she said. Suicide is one of the leading causes of death among men in Britain – and yet it is rarely talked about by the country’s leaders. 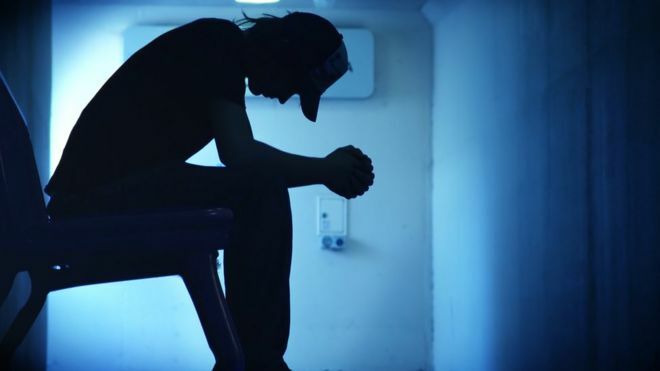 Every two hours a man in the UK takes his own life – that’s 84 every week, largely unseen, other than by the family and friends they leave behind. But it would be difficult to walk past the 84 sculptures standing on top of the This Morning studios and ITV’s headquarters on London’s South Bank without noticing. On the project’s website are the names and details of each of the men, with stories told by those close to them. As one daughter says of her father: “He hid it all too well”. The sculptures were unveiled on Monday, as CALM’s chief executive Simon Gunning said the support organisation “has been campaigning and providing support services for 11 years but, try as we might, it isn’t enough to tackle the enormous problem of male suicide”. On Twitter, the project was described as “bold”, “hard-hitting” and “powerful”, but some said it was too much. Mr Gunning said: “With Project 84, we wanted to make the scale of the situation very clear to everyone that sees the sculptures. :: If you feel suicidal or vulnerable, if you’re worried that someone you know may be feeling suicidal or if you need support after losing a loved one to suicide, go to CALM for advice, support lines and webchat.